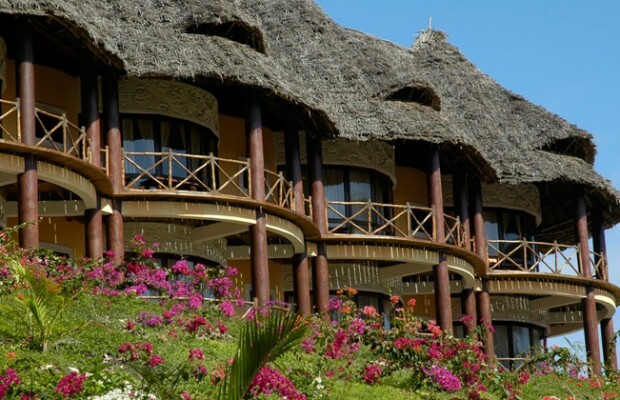 At Ocean Paradise Resort Zanzibar, you will be greeted by a blaze of colour as you sweep down the imposing driveway, saluted by a Masai warrior as you pass through the entrance gate and be captivated as you arrive in reception and look out over the resort and the azure blue sea. 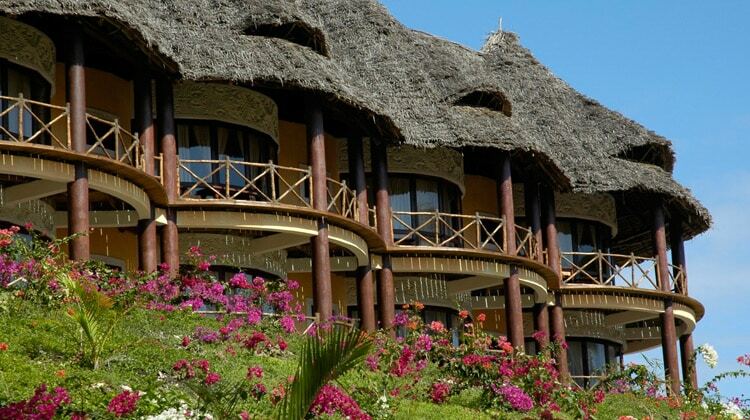 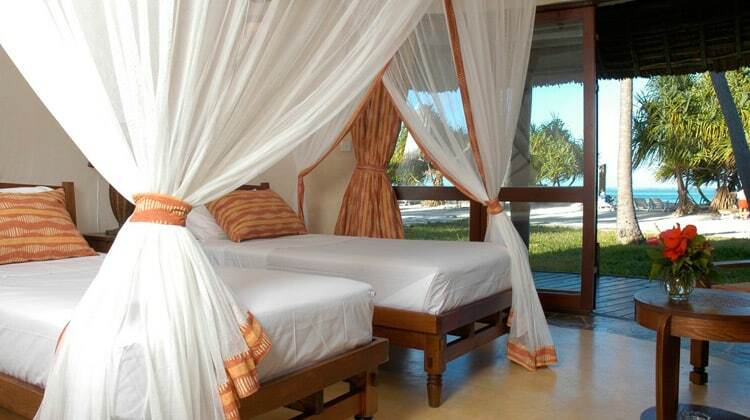 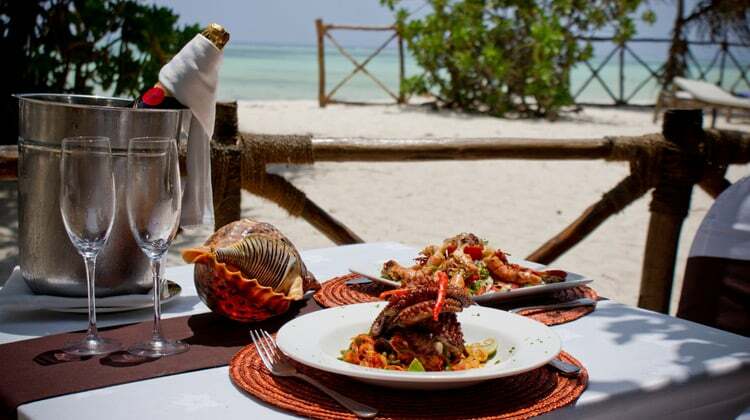 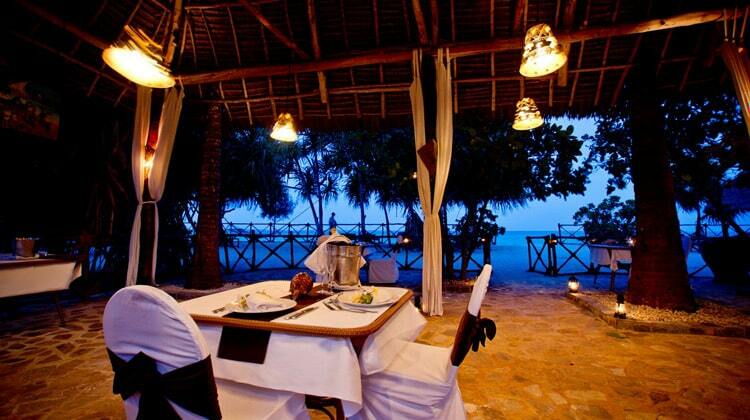 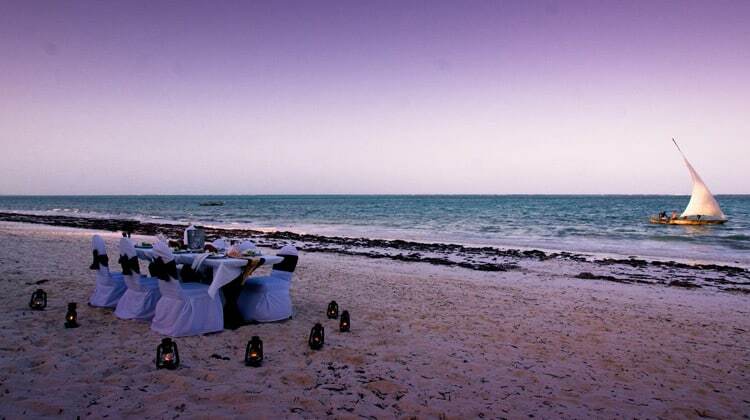 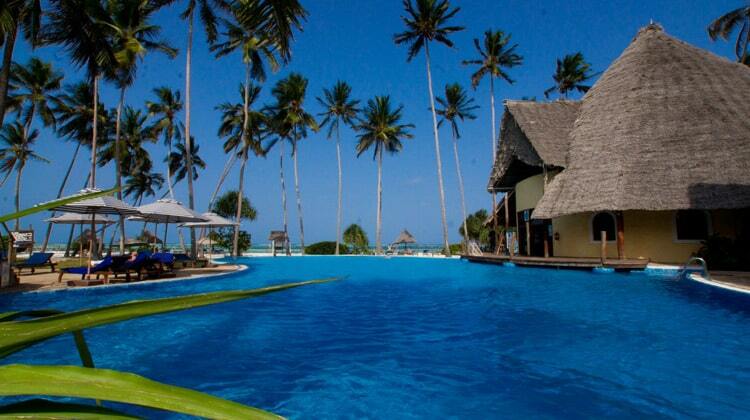 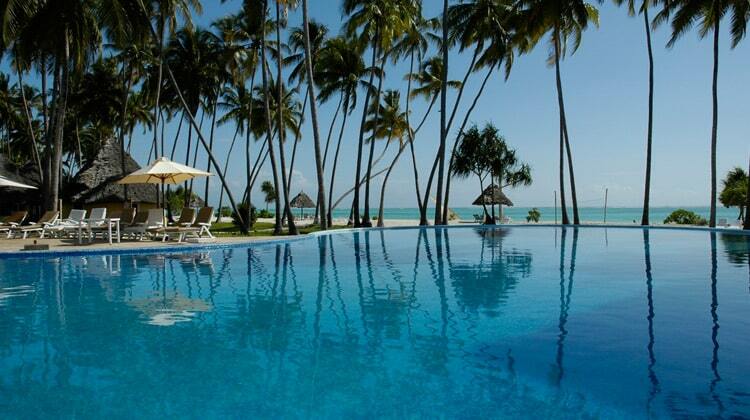 Mature coconut palms swinging in the breeze, white sandy beach, beautiful landscaped gardens, traditional style round chalets with pitched makuti roof, a stunning waterfall feature and the largest swimming pool in Zanzibar are just some of the sights that await you. 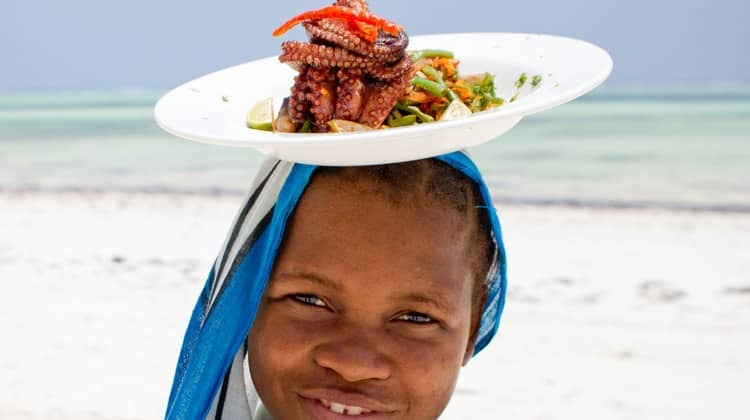 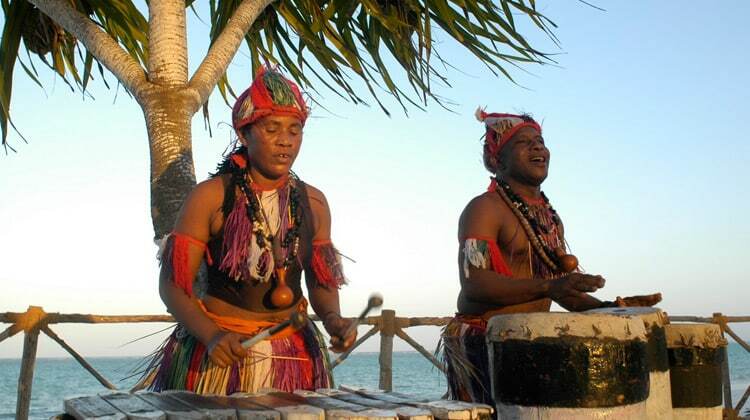 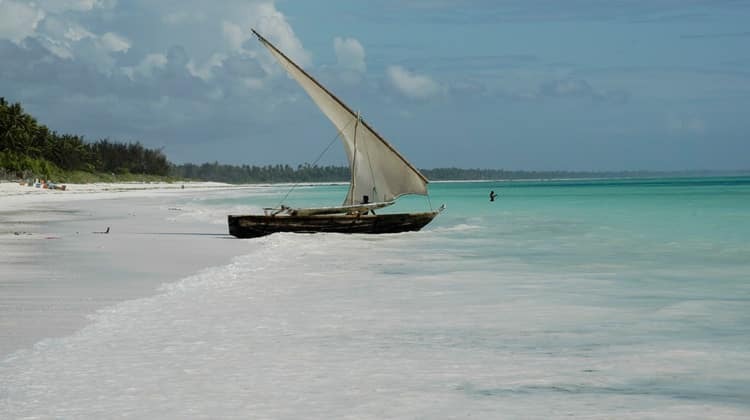 A big smile and the greeting of “Jambo” will be the first words you hear, as you begin to feel the warmth that the people of Zanzibar are famed for.